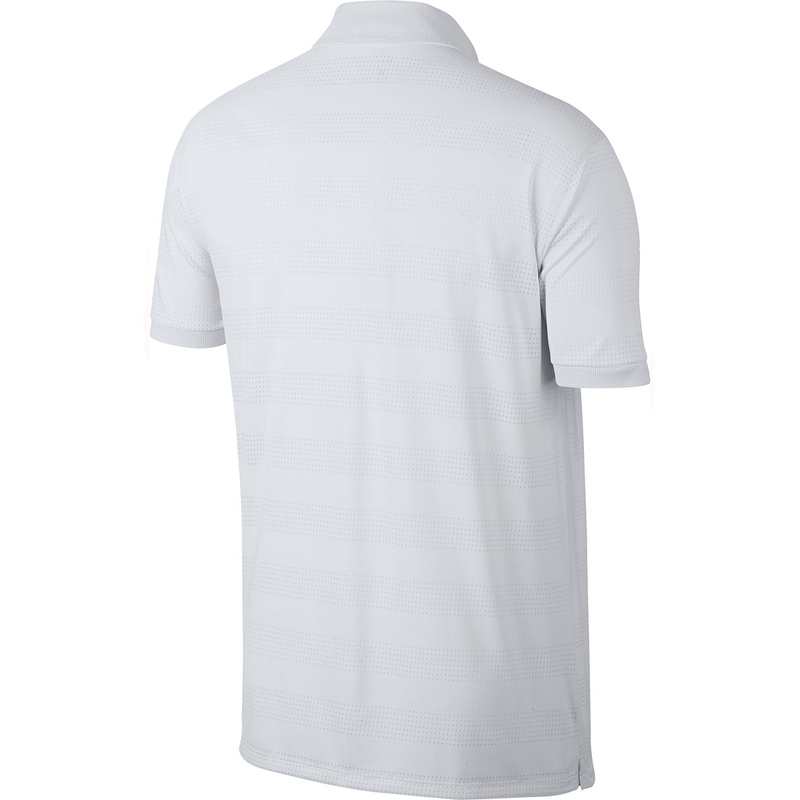 This striped golf shirt, has been enhanced with Nike Zonal Cooling technology, and a moisture wicking Dri-FIT fabric to keep you cool,dry and less distracted during your game of golf. Constructed with areas of ventilation, for increased cooling as you perform, with rolled-forward shoulder seams for increased mobility through the golf swing. 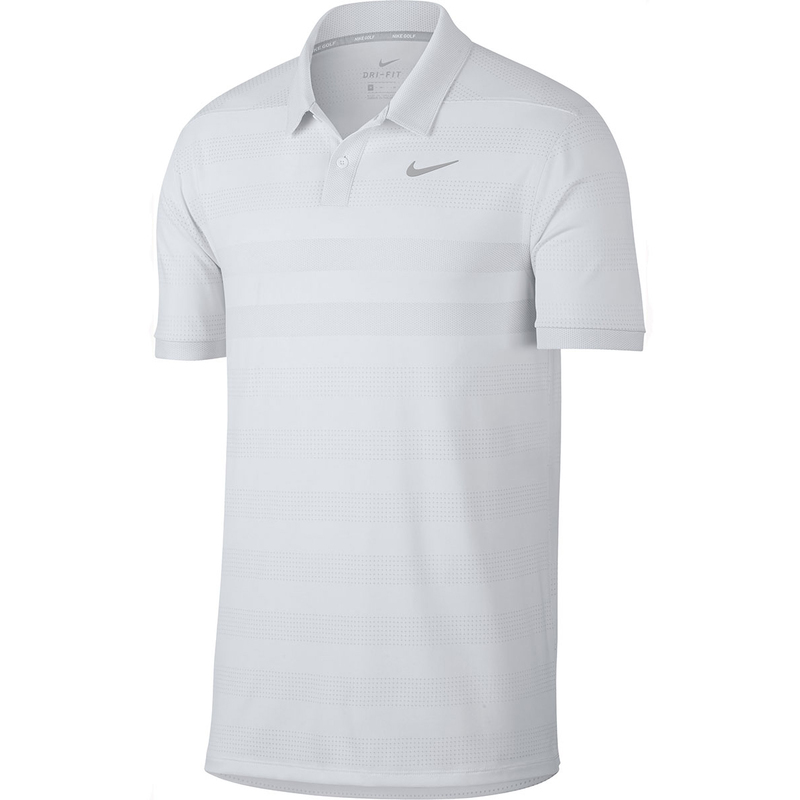 The shirt has a 2-button placket and fold-over collar, and is highlighted with a Nike Swoosh heat transfer on the left chest. Machine wash at 30° or less. Initial water temperature should not exceed 30C or 65 to 85F. Iron at maximum temperature of 110°C. Regular ironing, steam or dry, may be performed at Low setting (110C, 230F) only. We are also happy to accept returns on any items within 30 days!